If history is any guide, FC Barcelona fans should be very optimistic heading into Thursday night's second leg of the Copa del Rey semifinals at Valencia. Barça won the first leg at Camp Nou, 1–0. And although on the surface, the razor thin margin may seem a tad precarious entering a second leg match on the road, Barça has always made such an aggregate lead stand up. In fact, Barça has gone through all six times after winning a Copa del Rey first leg at home, 1–0, and has never even lost a second leg match under such circumstances. Barça's record in those six games is five wins and a draw. There's no question this season's Valencia — currently third in La Liga — is a formidable opponent. And Mestalla is, no doubt, one of the tougher stadiums to play at for visiting teams. Nevertheless, Barça's recent results at Valencia invite plenty of optimism. One would have to go all the way back to the 2001-02 season — a 2–0 Valencia win in Week 27 of La Liga — to find any score at Mestalla that would knock Barça out this week. 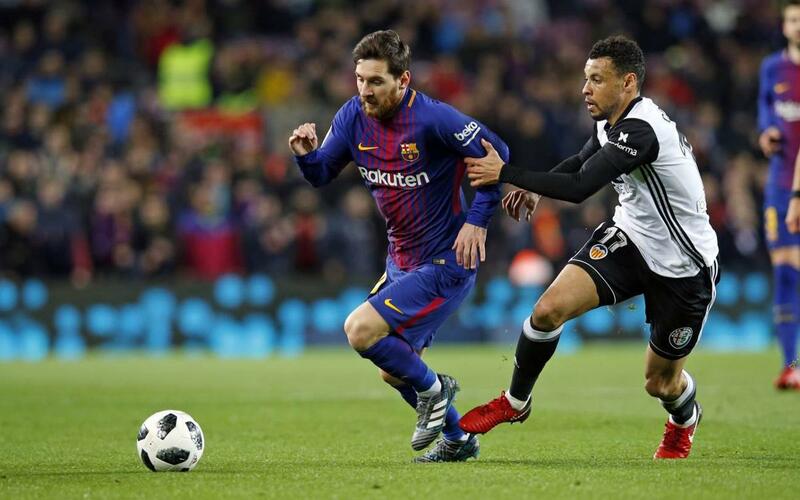 Since then, 18 of the 19 games played at Mestalla between Valencia and Barça, regardless of competition, produced scores that would send Barça through this Thursday — the only exception being a 1–0 Valencia win in Week 23 of the 2005/06 La Liga that would send this Thursday's match to overtime.